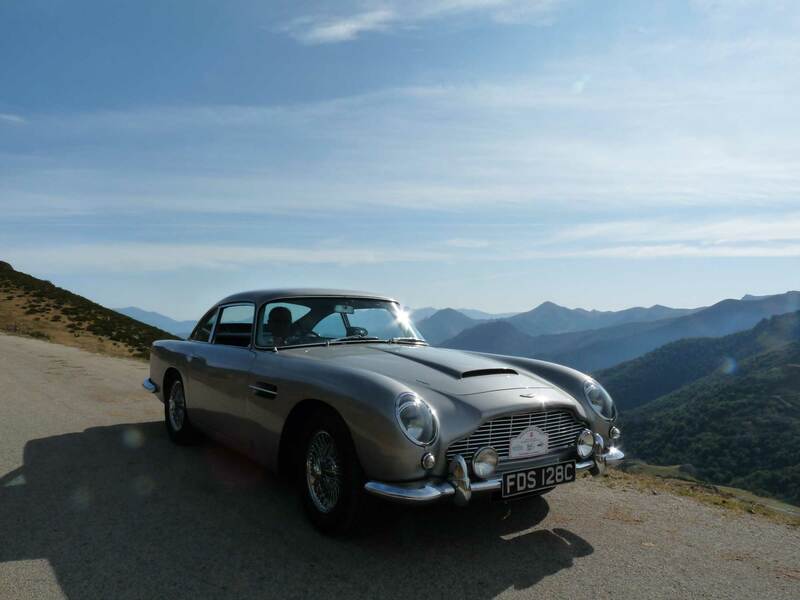 From ‘Goldfinger’ to ‘Skyfall’ its timeless beauty and sheer presence make the DB5 perhaps the most iconic movie car ever. 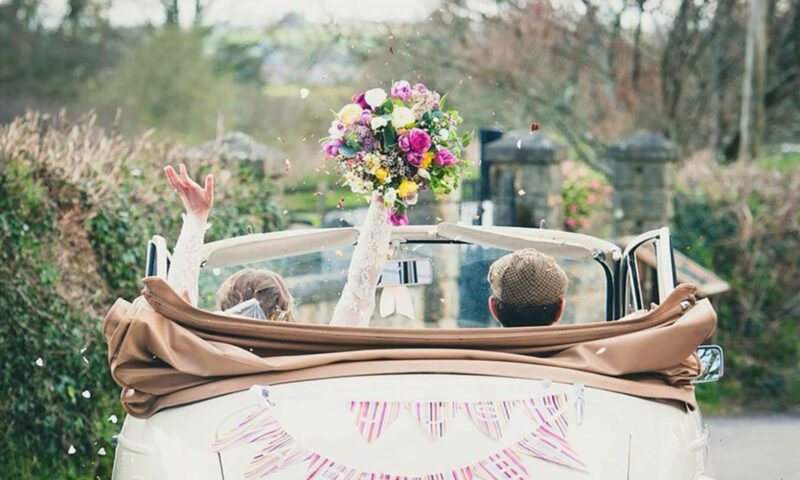 And what a way to add drama and excitement to your special day! 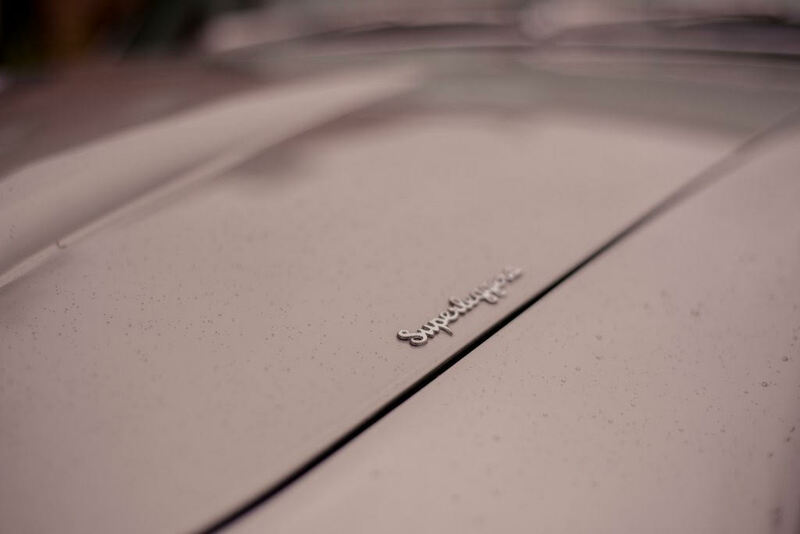 Graceful classic lines shimmering in the original silver birch. 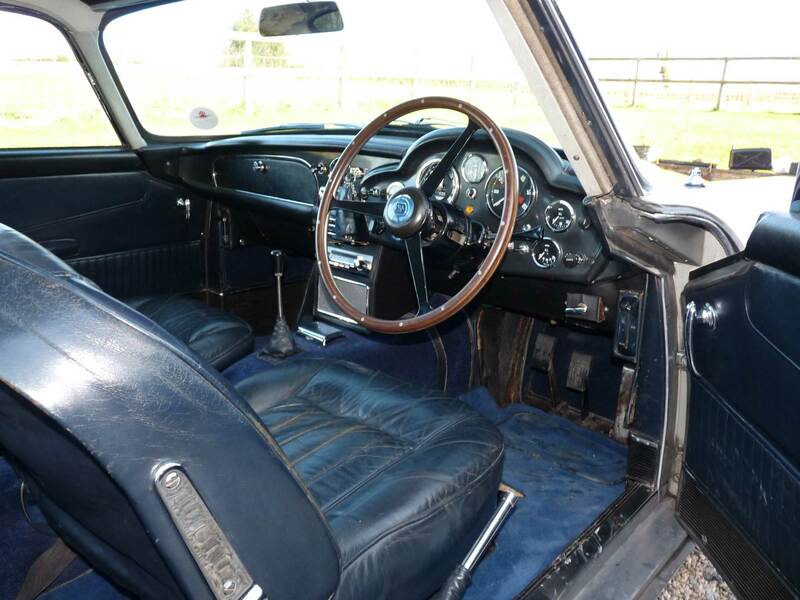 Stunning dark blue leather upholstery and the classic ‘English country manor drawing room’ interior. 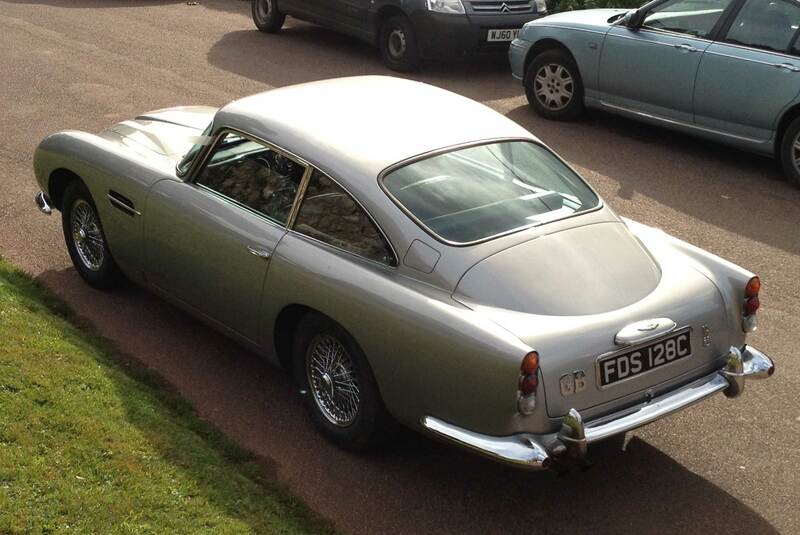 It just does not get better that the Aston Martin DB5. 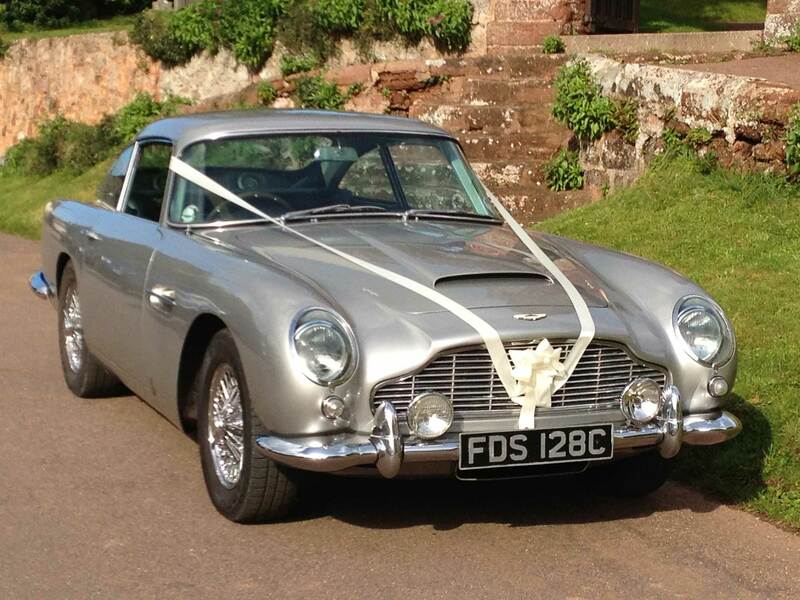 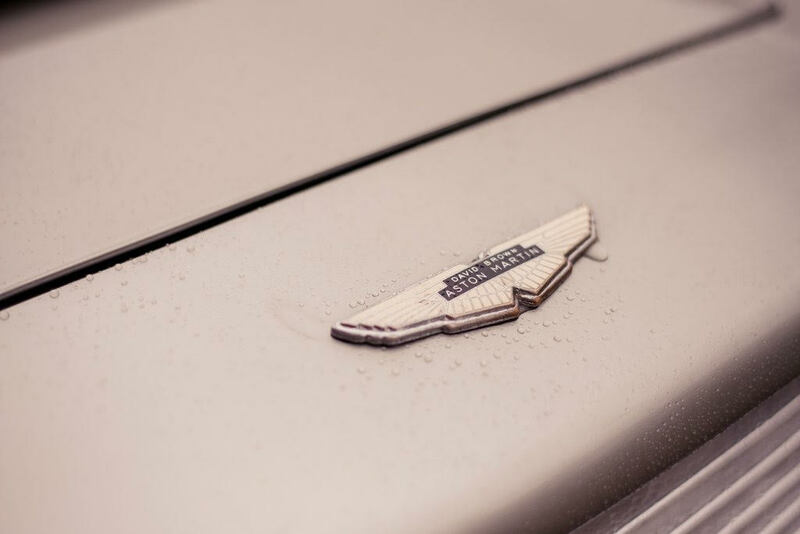 The DB5 is a 2 door coupe with quite small back seats but you can squeeze in for short journeys or most likely squeeze the groom in the back so the bride gets pride of place up front! 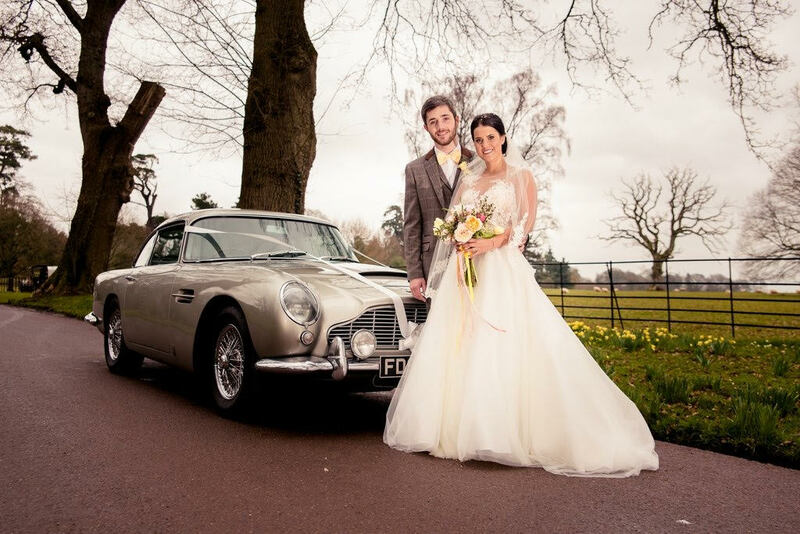 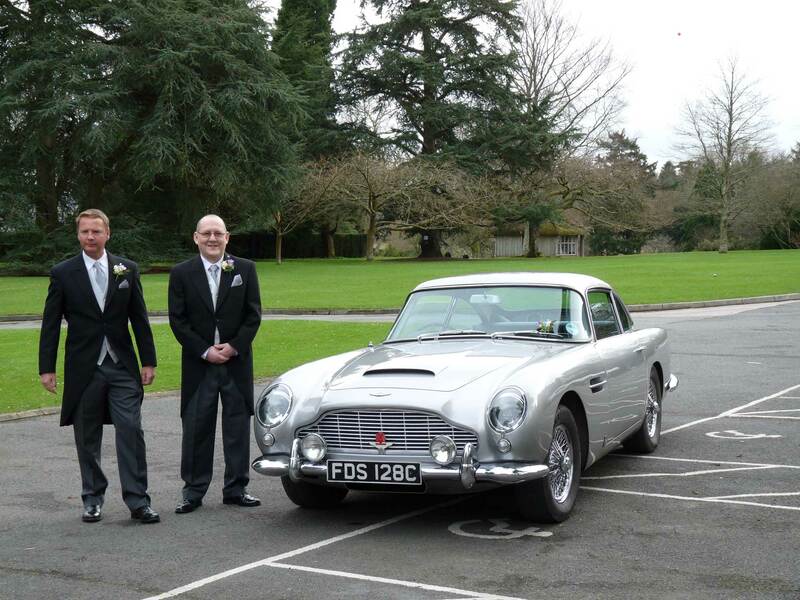 The Aston Martin is a rare very special and exclusive wedding carriage and is available chauffeur driven at £150/hour with a minimum hire of 3 1/2 hours (i.e. 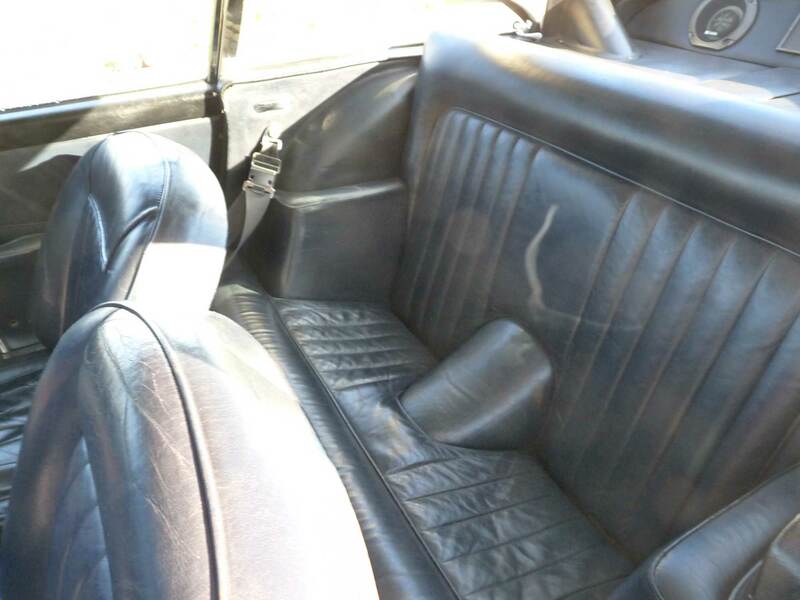 £525). 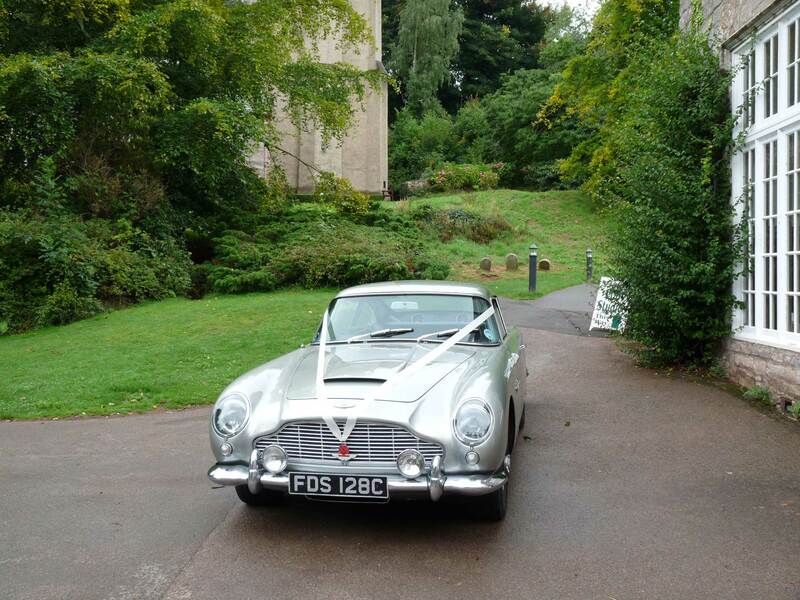 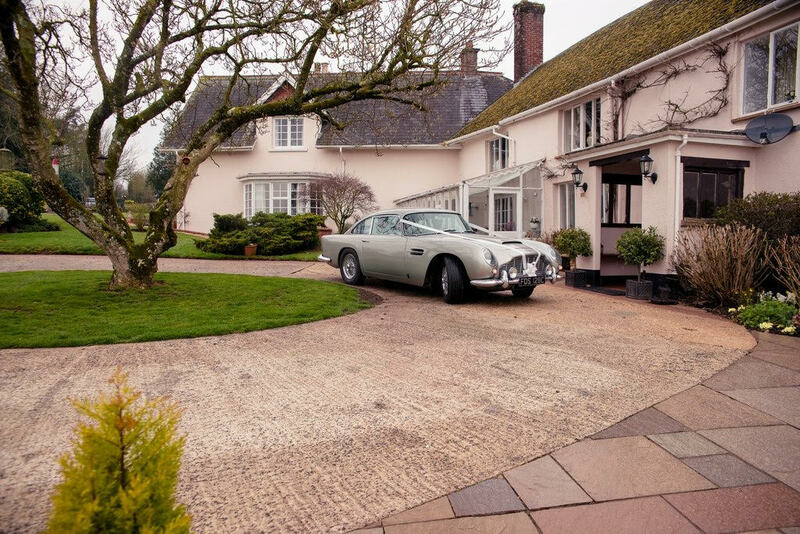 This would cover a wedding within 10 miles from our the Astons home near Dartington. 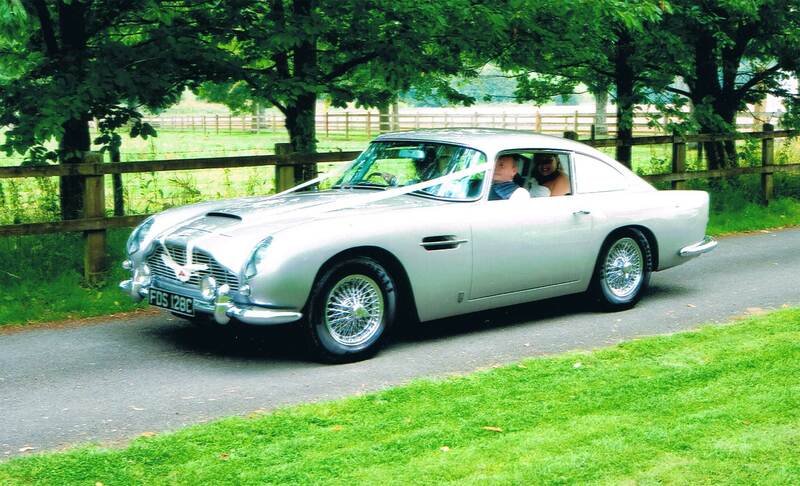 If you are further away or you need the Aston for longer then please contact us for a quotation.